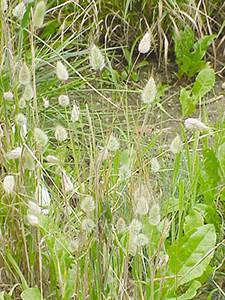 An annual grass, possibly growing to 60cm but usually shorter on sand dunes. A very ornamental grass with silky flowers and seed head. Flowers May-July and seed heads remain until first frost. A native plant from Guernsey.